Speaking at the opening ceremony of the programme, Dr. Bismark Quarku Parker who is the Lead Trainer of the workshop explained that the purpose of the capacity building workshop was to equip participants with the requisite knowhow and skill to effectively and efficiently package, advertise, collaborate and develop new products. He indicated that such skills were relevant for the success of businesses and enhanced profitability. On his part, Prof. Gabriel Dwomoh, Director, IRID who also represented the Interim Vice Chancellor (Prof. Mike Acheampong) underscored the importance of periodic training for the success of businesses. He further encouraged the participants to be actively involved in all sessions of the programme so as to be well-equipped for success after the training. On behalf of the Association, the Chairman, Mr. Stephen Mensah expressed gratitude to BUSAC Fund for providing financial support to further develop the skills and expertise of members of the Leather Bags Manufacturers Association. He was also full of praise for IRID of KsTU for collaborating with the Association to organize such an important training. 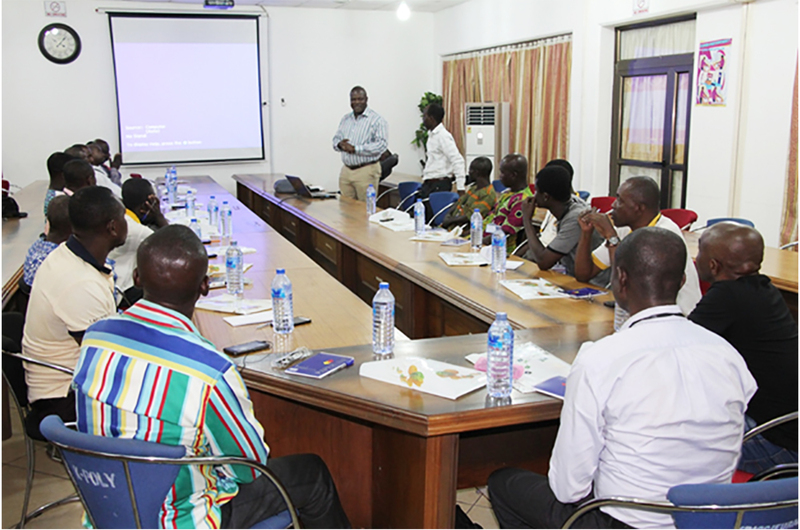 According to Mr. Mensah, the training had added to the skills they already had and it was going to improve upon the quality of their products which will increase patronage and profitability of the manufacturers. He added that the members of the Association were determined to increase their customer base hence, considered the training to be very relevant, appropriate and timely. The workshop which commenced on 18th and ended on 21st February, 2019 at Precevid Rosewood Cottage covered four modules being product packaging, advertisement and promotional sales; multi-stakeholder engagement for business profitability and patency rights.